(Fri Jul, 7 2017)The Closter Police is announcing a Safe Exchange Zone for conducting in person internet transactions. 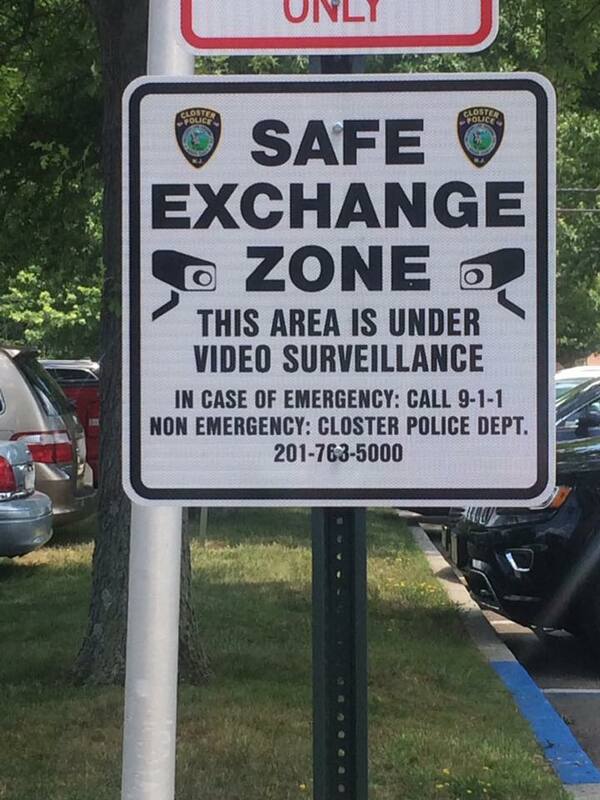 The Closter Police is announcing a Safe Exchange Zone for conducting in person internet transactions. Residents wary of transactions via the internet with an unknown buyer or seller will now be able to do so in the parking lot of the Closter Police headquarters located at 295 Closter Dock Road. The Closter Police will not have a hand in any transactions, act as witnesses or be involved in any authentication of any item.